This article was written a few days ago. I honestly haven't had time to read the whole thing. At a glance... most of it seems to be a general "recap" (Yawn). The section involving Marlin Marynick, struck me as kinda interesting however... see below. 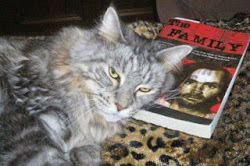 Marlin delves into what long term solitude can do to one's mind (in this case Manson's). Marlin Marynick, a psychiatric nurse from Regina, harbours no such dread. Four years ago, he struck up a relationship with the prisoner out of professional curiosity, and began visiting him at Corcoran, located about halfway between Los Angeles and San Francisco. 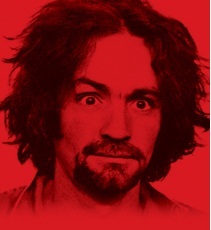 Their half-dozen meetings—more than 30 hours in total—became the basis for Marynick’s 2010 book, Charles Manson Now. He is one of the few people outside prison to spend time with Manson in recent years, and the two remain in touch to this day. Marynick’s take on inmate B33920 is not overly sympathetic. Manson could be crude and paranoid during their five-hour-long sessions in a visitor’s room, the author tells Maclean’s: “There are definitely mental health issues there.” Yet Marynick’s account of Manson’s daily life doesn’t exactly chill the soul. The convict passes most of his time answering mail, doing thread art or playing guitar in his cluttered cell in the protective housing unit, a wing for prisoners who might come to harm in the general population. He’s taken up painting, and has co-founded an ecological movement called ATWA (Air Trees Water Animals, or All The Way Alive). There’s a website, run by friends on the outside. But ATWA doesn’t offer memberships. "Yet even the most horridly fascinating exhibit can’t keep our attention forever. Two weeks before Manson’s recent parole hearing, Beatles legend Paul McCartney sang Helter Skelter during a concert in Zurich. It’s been nearly two generations since those ghastly days of August 1969. So it’s a good bet that many in the audience never made the connection. By all accounts, Charles Manson would be perfectly okay with that, and the rest of us should be too." As big as we think our "world" is, probably 9/10 of the world don't follow, know about or care about this saga. Dunno about that Katie. Because the saga involves Hollywood,the Beatles and the Hippies it is very likely that most people alive today know a good deal about TLB. I am continually amazed that even young people today know about Manson's exploits. I also sorta disagree about Manson being called a coward because he didn't commit the murders himself. I don't think that makes him brave or a coward. The last paragragh comes to the conclusion that the murders are now over and done with and all is forgotten. That is BS. The rest of the article had some interesting psychological info on Manson's mental health but I wonder where that info came from. Is Manson narcissistic etc? Was that the author's opinion? I'd love to see an official mental health evaluation on Manson. There are only two reports I know of. One from 1954 and one from 1968. Both reports claim Charlie is schizophrenic. I haven't read Marnyk's(sp) book but if he is a psych nurse he may have spotted some of Charlie's mental symptoms and revealed them. I guess I need to read that book whether I want to or not because Manson's mental condition has always intrigued me. The article mentions that Manson is much like a 14 year old kid? BTW has anyone else found it almost fantastical and unbelievable that Manson has changed ZERO since 1969? It is as if his personality is frozen in time. Since 1969 Mt Everest has grown measurably taller due to plate techtonics yet Charlie is still the same old Charlie. I really wish a shrink would explain how this can be. I don't know much about prisons, thank God. Why doesn't Manson have a TV or a radio? Not allowed? Charles can have TV and radio when in his regular unit, PHU. You have to choose two "appliances" when in SHU, and it's likely he's chosen other things than TV or radio.